There are 83 reviews of Marc Jacobs for Men. Memories: Stamina and constantly moving with do-able projects. Extreme comfort and self-care. Who should wear this: The late Steve Irwin. Perhaps Ken Jowitt, a modern university professor. Bottom line: While I've been playing with scents for over two decades, it seems my nose isn't fantastic as I can't tell much difference between this and Philosykos eau de toilette by diptyque Paris. Creamy, ripe, comfort. One of my old top five. I bought Marc Jacobs on a whim, but it gradually lost appeal over time. I divide my fragrances into classifications such as "office, "weekend", "dinner date", etc... Marc Jacobs sort of gravitated between all of them at times without ever really giving me anything distinguishing. I typically don't care for fig notes, because the scent tends to develop into a feminine powdery fragrance on me in the dry down. The fig-floral combination in Marc Jacobs seemed to be more of a floral powder and I could never define where I liked wearing it. Others probably have better results or appreciate fig scents more than I. Longevity wasn't real great either. This one just never seemed to work on me. Most of the fig scents I know go in one of two directions. Some emphasize the sweet, jammy aspects of the very ripe fig, while others favor the milky sap and green wood of the fig tree’s branches. To my nose, Marc Jacobs for Men follows the first path, with a sweet, mellow fig accord seasoned with very pretty floral notes. It is at once moister and softer than Jean Claude Ellena’s Un Jardin en Mediterranee for Hermes, and somewhat sweeter and less sharply focused than Olivia Giacobetti’s Philosykos. The fig accord in Marc Jacobs for Men is less tenacious than others I have tried, so that a few minutes after application it has morphed into a very lush, soft, floral scent that’s underpinned by creamy woods. The scent stays very close to the skin, and leaves no sillage to speak of. Its floral heart grows fainter and fruitier as it develops, until, after a mere hour or two, it stops beating altogether. Pretty, this one, and very easy to wear, but with its limited projection and miserable longevity, I can’t honestly recommend it. Darvant calls this unclassy and I agree that it's tacky — but it's tacky in a fun, self-possessed way. Maybe as I become more sensitive I'll find more to fault but at this time I have to say I like it. It's fruity and sweet while not being aquatic, gourmand, or feminine. I haven't smelled anything else that does this. Apparently there are better "figs" out there but on a shelf full of sporty-this, and old-fashioned-that, this caught my attention and imagination. It's not for a cool evening at a nice restaurant, it's for beers and riding inner-tubes down the river on a hot day. It's for laughter and messy hair. Ms. Versace once said something along the lines of: it's good to have bad taste, it's having no-taste you should be worried about. However I do think the average designer-price is too much for something so campy. 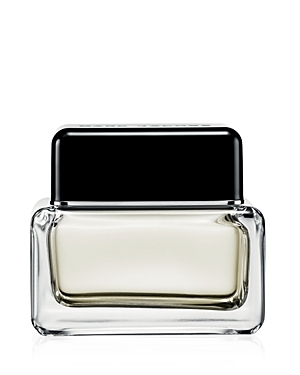 As with Givenchy Play Intense, I can't imagine spending much money on this (I have a sample) but if I received a bottle, or found it at a discount store, I would happily wear it. It lasts for hours on me on a sweaty summer day. I catch pleasant whiffs of it now and then. Not to be vulgar but it seems relevant to add that the first time I wore this a sexual escapade ensued within hours and I received a compliment from the guy while he made his way down my body. Maybe it is a gourmand after all! I agree with people saying this is boring. Yes, it is. Opening is great, but dries down to nothing but a faint cococnut and fig smell. Zero projection, zero lasting power (nothing else than 1 hour). Not worth it. Tried this recently and having sprayed some on, I was taken back by the fruity opening. Wonderfully refreshing and maybe the ideal summer scent. But alas, ten minutes on and this was weaker than what we call a 'skin scent' here on BN. Why would anyone pay money for something that has the properties of tap water? Fantastic top notes makes for a great opening, but it's a thumbs down for me. Don't waste your money on this. Marc Jacobs Men's Eau de Toilette 4.2 oz. If my favorite scent is Virgin Island Water, do you think I will like Marc Jacobs for Men? Diptyque Philosykos vs. Marc Jacobs for Men. Marc Jacobs For Men, I am I crazy for liking this one? Marc Jacobs for Men bottle from eBay. Tester? Mugler Cologne or Marc Jacobs for Men? CK Eternity Summer or Marc Jacobs for Men?